Don't be fooled by the title; this is no "B sides" album from your favourite GRITS! 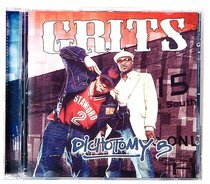 The second in a series of 2 albums released this year, DICHOTOMY B continues to prove why GRITS is the number one selling Rap group in Christian music. About "The Art of Transformation"